Templates are a perfect way to jump into a layout. I use them as a starting point and just modify them to suit my photos and way the photos want to be scrapped. 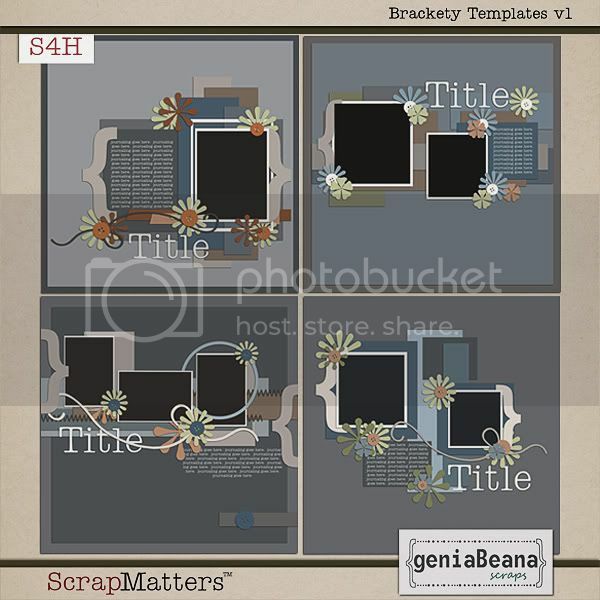 I've got a new set of templates new in my shop today that feature brackets to highlight your images and/or journaling. Each template comes in .PSD, .TIF, and .PNG format. They're on SALE for 20% off this weekend, too!